This is a great workout program for men! There are so many reasons why today is a great day to start. Soak up over 15 years of training knowledge and fitness advice from Coach Julie. 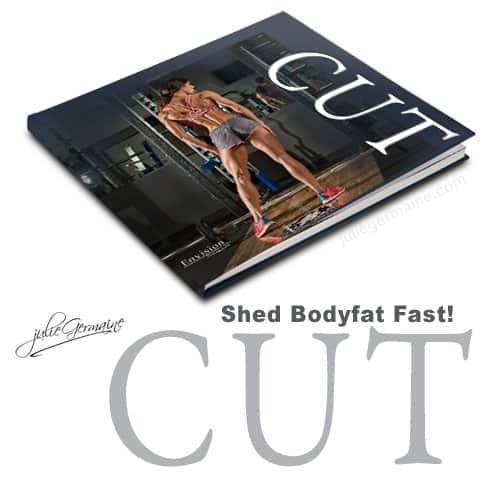 Lose bodyfat quickly without risking muscle loss by following Coach Julie Germaine’s thorough guide on cutting down. The program includes workouts with HD video tutorials and a detailed nutrition plan that is flexible and manageable. *No hidden fees! 100% Satisfaction Guaranteed! Watch a Video Preview of Membership Area! Try the Cutting Plan I Use to Get Lean Quickly! Do I have to have a gym membership to do this program? Weight training is part of my programs and having access to a fully equipped gym adds more versatility to your workout. If you have a home gym and are knowledgeable about exercise, you can make substitutions to the workouts. There are also additional home gym workouts available for purchase that compliment this program. Does the nutrition plan allow for cheat meals? Yes! Food is one of the joy’s of life – we need to splurge once in awhile! I prefer to call them Treat Meals… the catch is that you have to EARN these bonuses! This is essentially a crash course in how I cut bodyfat quickly so treat meals are optional. My goal is to help you get into amazing shape while staying sane. My experience with clients is that diets which are too challenging will lead to failure – your failure is MY failure! 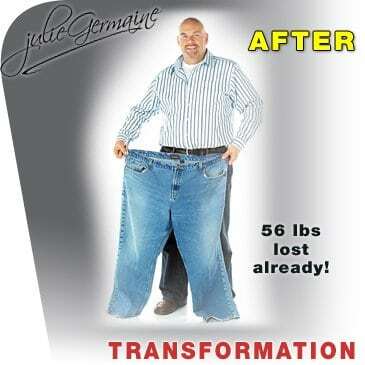 This diet is effect but realistic. I will help you understand healthy eating and want you to learn to enjoy healthy foods so that you can splurge on your favs! Moderation is key for long term success. Do you advise on supplements? After popular demand, I will be adding advice on supplements to aid in muscle recovery, fat loss and more in the members section soon. You can reach out to me in one of the upcoming Q&As if you have additional questions so I can address them and add them to the wealth of information already available in the members area. Do you outline what type of cardio to do? Yes, the programs outline the recommended duration of cardio per day and overall throughout the week. It is important to know how to avoid reaching plateaus in your body transformation, so the 25 page program book also covers the importance of changing your cardio and when it is time to do that. Yes, Coach Julie, I Want Your Help Losing Bodyfat Quickly! Have a promo code? Use it at checkout. Coach Julie Germaine loves helping her clients get results. Since 2006, Julie Germaine has been a fitness expert and competitive athlete. This cover model is proud to have ranked as one of Canada’s top professional fitness model over the last decade. Julie Germaine has won 2 international championships, placed 8th in the world in 2015 and recently earned 2nd runner-up at the 2016 WBFF World Championships! More important than all of that is Julie’s dedication to her career as a personal trainer and motivator. Coach Julie’s mission is to help everyday people reach their fitness goals and create balanced, active lifestyles. Don’t be intimidated by her physique! Julie is down-to-earth and passionate about health. She realizes everyone’s motivation is different and strives to push her clients to be successful in their individual lives. 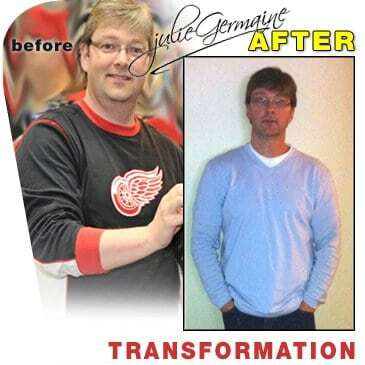 Coach Julie has supported thousands in achieving incredible weightloss transformations! She continues to be inspired by the way her clients’ lives are improved far past their appearance. 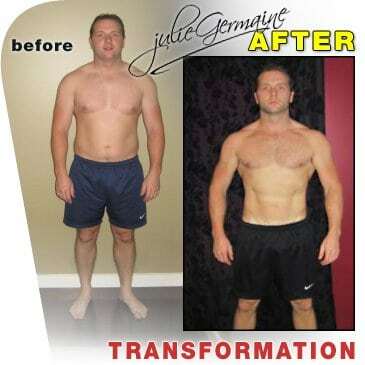 Buy The 5 Week Cut and Start Your Transformation Now! Sign up to my newsletter below to receive emails from me! Subscribe below if you are a male wanting fitness tips from Coach Julie Germaine. Want to sign your female friends up for fitness tips? Please visit www.sweatwithjulie.com for advice suited to their needs, including pre- and post-natal fitness, women’s health and weight loss.